In 2007, the National Education Association conducted an online survey of educators to determine the 100 very best children's books. The first ten results, in ranked order, are below; you can see numbers 11-100 on the NEA website. An unlikely friendship between Wilbur the pig and Charlotte the spider helps Wilbur become invaluable to his owner. This book was controversial when it came out — adults thought that Max was too badly behaved and his monsters were too scary. But generations of young children know best — this book connects perfectly with a young child's fears and his ability to conquer them. As one reviewer humorously put it, "The Giving Tree gives and gives... a selfish boy takes and takes." All kidding aside, this lovely book's ending is deliberately left vague, leaving room for the reader to draw their own conclusions. I was a picky eater growing up, so my mother used this charming book about a reluctant eater to convince me to try new foods. An unnamed character runs away from Sam I Am who holds a delectable plate of eggs and ham, both of a green color. Sam I Am chase our hero all over using every enticement to convince him that this plate holds pure delight. Finally, our hero relents and tries the uniquely colored food. Every year our school serves kindergartners green eggs and ham during a unit on foods. Our older students learned of how the book, written as a result of a bet between Dr. Suess and a friend, only contains 50 different words and receive a challenge to do the same. As a teacher, I plan to use the book as a centerpiece to a Summer School unit on writing using limited words. There's classic children's literature, and then there's "Goodnight Moon." 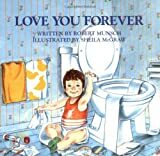 This humorous, touching story of the love between a mother and her son leaves no dry eyes in its wake. 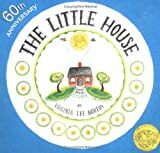 This book is a sentimental favorite of mine, another one that I read aloud to my third graders every year. There were many pages that inspired us to laugh out loud, and a couple that inspired us (or, at least, me) to cry. At the start of the book, ten-year-old Opal has just moved to Florida with her father, a preacher. They are both still smarting from Opal's mother's departure years earlier, and don't know how to heal their wounds. Opal has a hard time connecting to people until she meets Winn-Dixie, a stray dog that she decides to keep. Opal reaches out to others in her new town and discovers that they are also “broken” in some way, and all in need of healing. The story is sweet and optimistic, and Opal is a compassionate character making her way through a difficult time. #8: Oh, the Places You'll Go! Inspiring and empowering. A book every child should read, or have read to them. Though a well-built house may possibly stay the same over many years, its surroundings most certainly do not. What started out as a happy little house way out in the country became a little house in a bustling city, where it couldn't see the sun anymore because the skyscrapers were so close to it. Yes, houses have feelings too, evidently (and it's quite believable with the charming illustrations by the author). When the descendants of the family who build the little house find it again, they move it back to its original setting... if not quite its original location. One of my all time favorites... especially the set that includes the book on tape. I've officially now listened to it — while I flip the pages — more times than my grandsons. Shhh, I sneak peeks between their visits. The illustrations and the story awaken the child within me: I'm on the train (can't you hear its chugging pace? ), I'm searching for my ticket, I'm watching out the windows, cold nose pressed against the glass... it's as if the writer gives the train full of growing children one last heart-spinning visit to make-believe, before they are pressed to grow up. All aboard!